This beautiful gift set contains a zip growsuit & hat set that will surely be treasured. 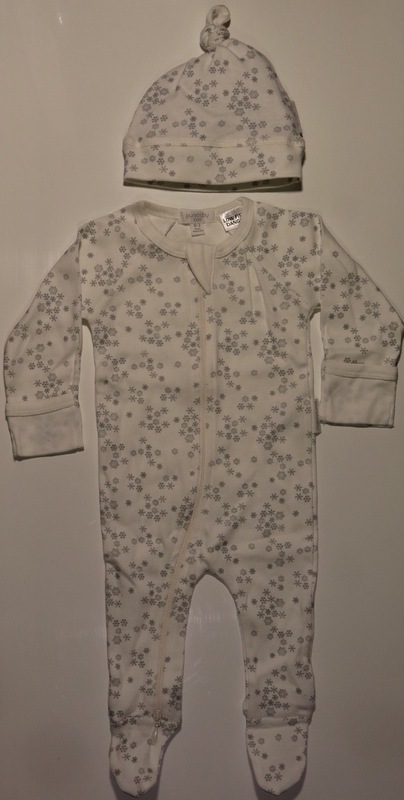 Sized in either 0000 or 000, this beautiful jumpsuit is a versatile size for a new born. 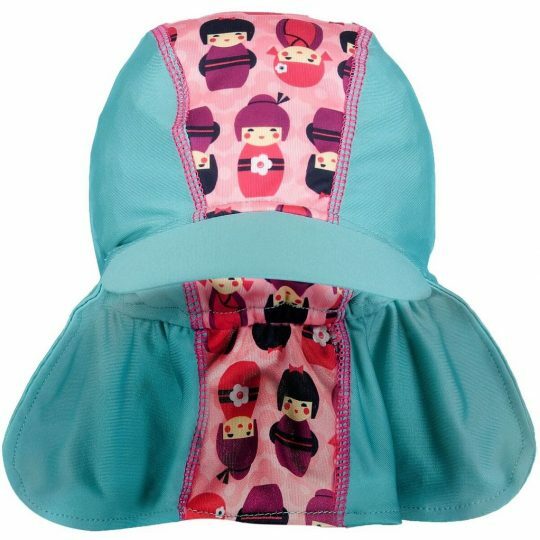 The sweet knot hat in a small new born size it will keep baby’s head warm on those cooler days. 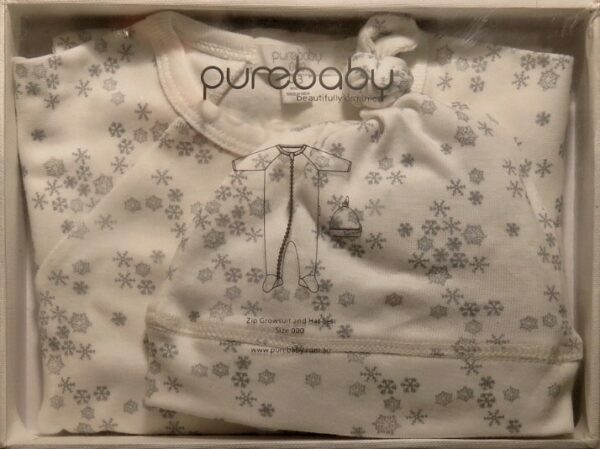 Baby will be snug as a bug in rug! 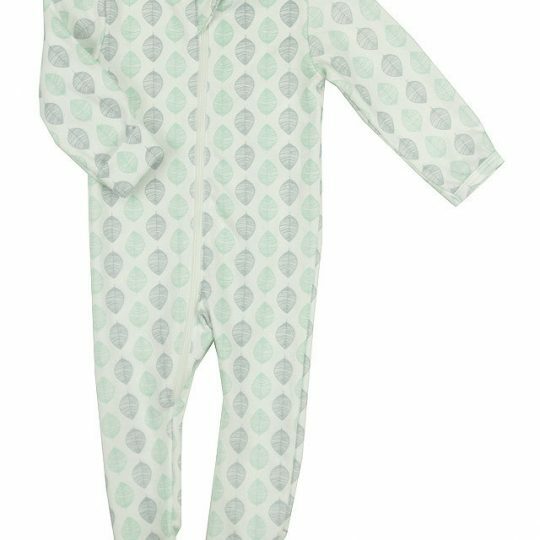 With a zip that runs all he way through with a two way zipper and sized as 000 this beautiful jumpsuit is a versatile gift for a new born. The zip grow suit is an essential style for winter newborns and will make chaining baby’s nappies easy. The winter style also comes with inbuilt mittens in the sleeve, to ensure babies little hands are kept cosy when required. Teamed with a sweet knot hat in a small new born size that will keep baby’s head warm on those cooler days, this new baby gift really is complete. Featuring a soft ribbed band and a knot that can be adjusted to suit the size and shape of a babies head. Parents new or old hands will be thanking you for gifting such a new born essential. 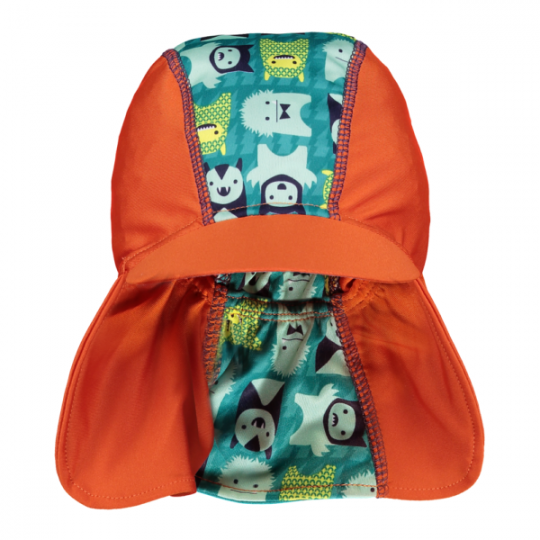 Both the grow suit and knot hat are made with Pure Baby’s 100% organic cotton.